Complete each of the following tasks. 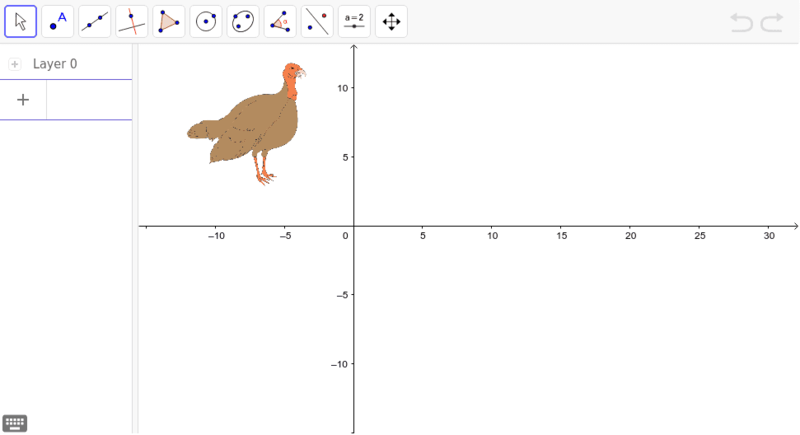 1) Reflect the image of the turkey over a line that is neither horizontal or vertical. 2) Translate the image of the turkey by a distance of at least 3 units. 3) Rotate the turkey 122 degrees about some point that is not the origin. Each task should be done in the same applet below. 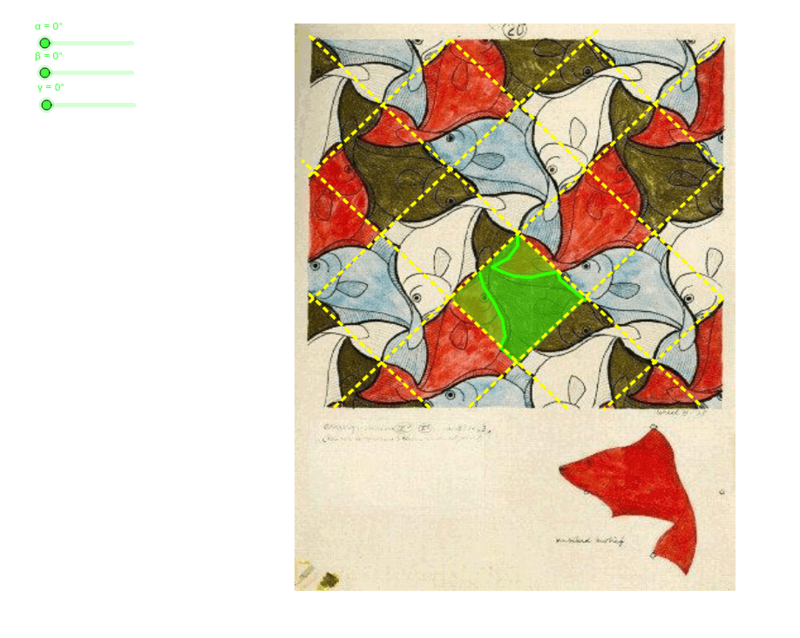 Move the sliders and check to the boxes to see how Escher created tessellations by beginning with a regular polygon. Explore Escher's dog tessellation by checking the boxes and moving the points that show up after a box is checked. Explore how this tessellation was created by moving the different sliders. 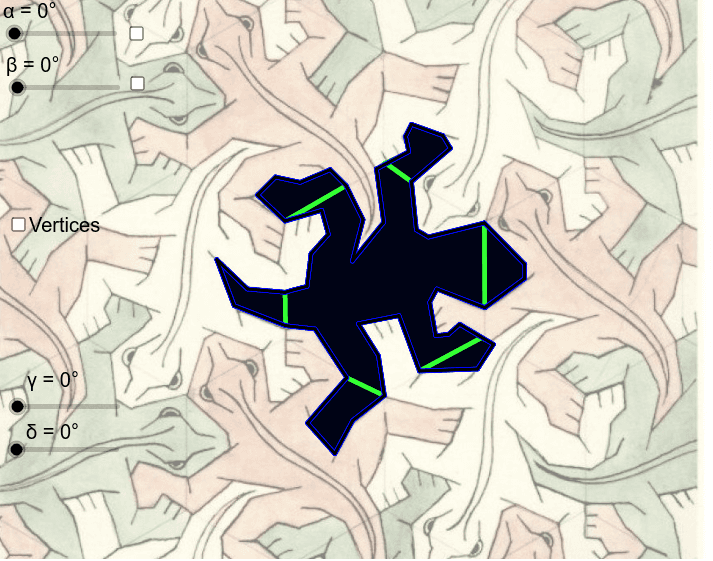 Now create your own tessellation. You can translate, reflect, or rotate to make your creation. Start with the hexagon given, you may move the points along the edges of the hexagon to make new shapes like Escher or you may tessellate the hexagon. The points on the edges of the hexagon can be used to create a new shape, reference the drawings above to determine how to tessellate if you change the shape of your hexagon.